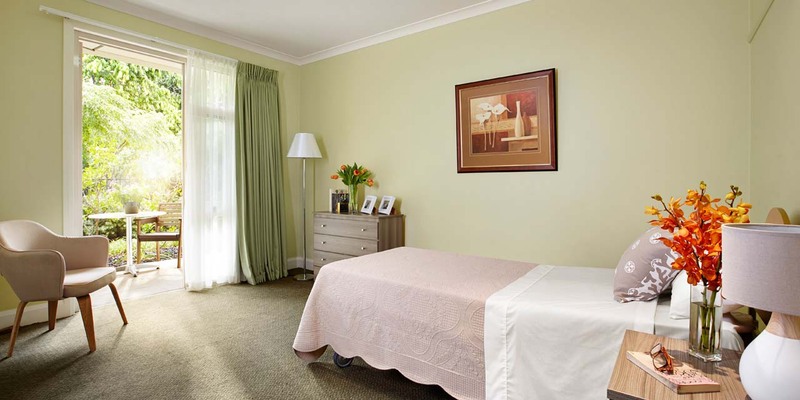 Set on the grounds of the grand Linda Mansion in Camberwell, Hedley Sutton is a relaxed and inviting residential aged care community. We provide all levels of care, delivered by a highly experienced, nursing-led team. 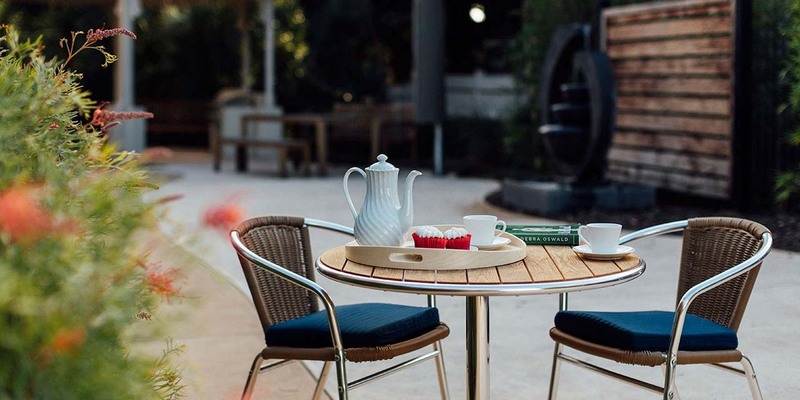 Our residents enjoy private rooms and shared spaces that are filled with natural light and furnished with modern décor, overlooking landscaped courtyards and beautiful garden areas. 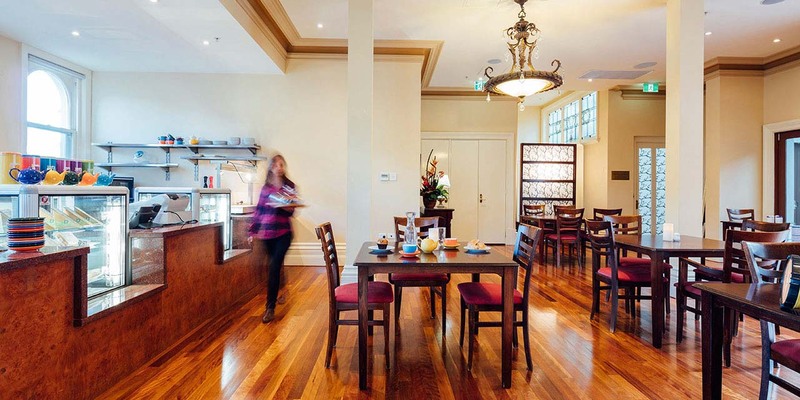 There is even a lovely on-site café for residents and their family and friends. To get a better feel for what we offer, see the information tabs below. Even better, book an in-person tour with one of our friendly site managers and see for yourself what life is like at Baptcare Hedley Sutton Community. Baptcare Hedley Sutton Community was established in 1972, and has been providing exceptional care to residents ever since. We pride ourselves on our inviting atmosphere and sense of community. 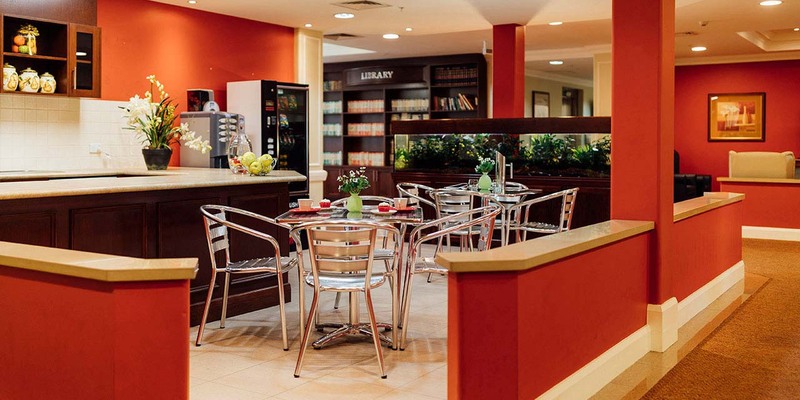 Our on-site café is a hub of activity for residents and their visitors to enjoy a coffee, snack or meal. While you’ll feel like you’re on the café strip, you also have the comfort of knowing that trained staff are on hand. 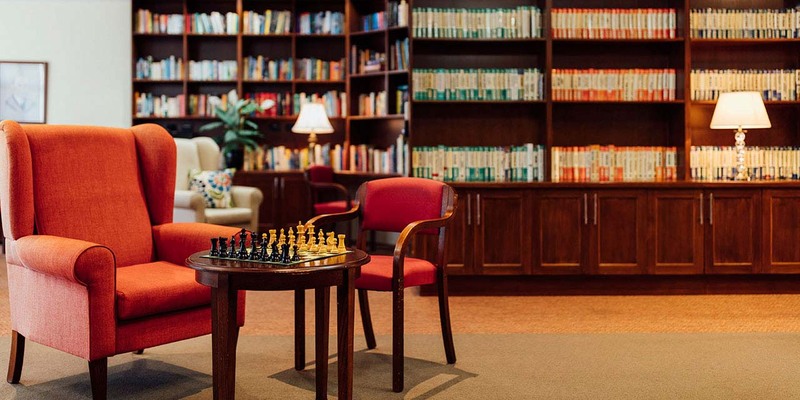 Hedley Sutton offers a range of spaces for everyone to enjoy – whether that be a quiet game of chess in the library, or hosting family and friends in our scenic courtyard area. We have many sun-filled communal areas to spend time with others, includinga gazebo and BBQ area. And for the times when you prefer to stay indoors, you can relax in one of our comfortable lounges. 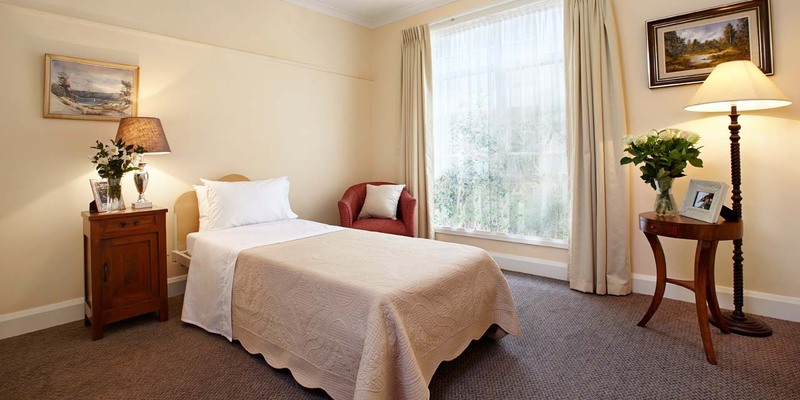 Hedley Sutton has advanced systems in place to ensure the best of care for our residents. For medication safety, we use an electronic medication system that communicates directly with our residents’ doctors and pharmacists. Our bathrooms are designed with coloured rails to assist residents living with Alzheimer’s, to reduce the likelihood of falls. And you’ll be reassured to know that every resident has a nurse call button within easy reach in both the bedroom and bathroom. 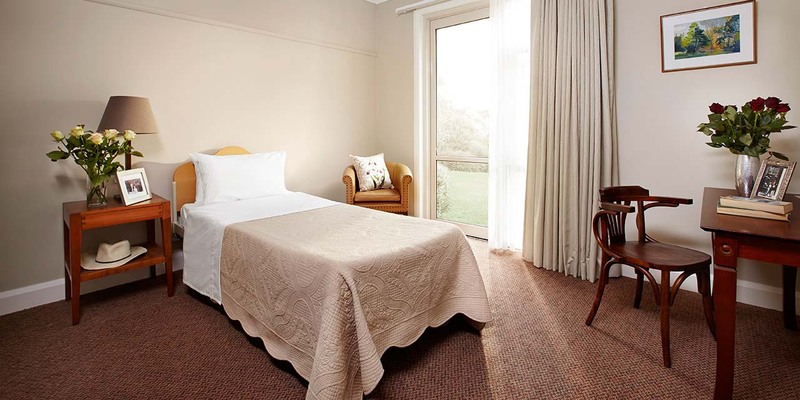 Hedley Sutton is a modern, two-storey building with 100 private rooms, catering to all levels of care. 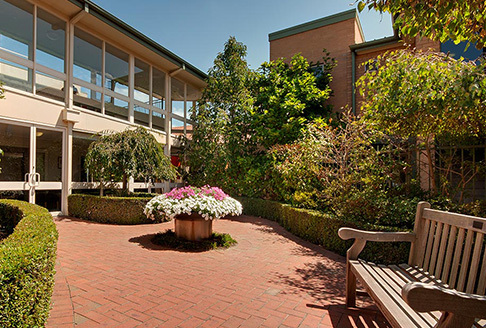 Both levels have three wings, each with their own dining and lounge rooms. 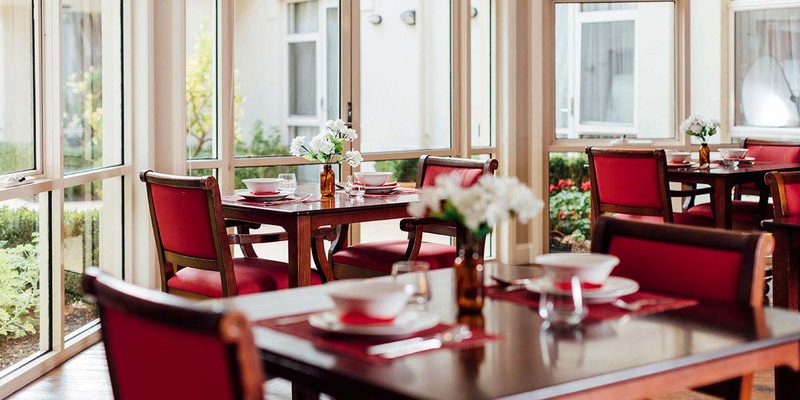 Our smaller dining rooms foster a more intimate setting for mealtimes and enhance the sense of homeliness. 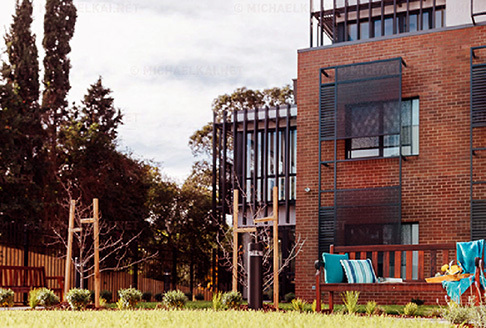 Meanwhile, the general layout of our community is designed to encourage residents to move around and enjoy the communal areas, while making all facilities easily accessible from any room or level. 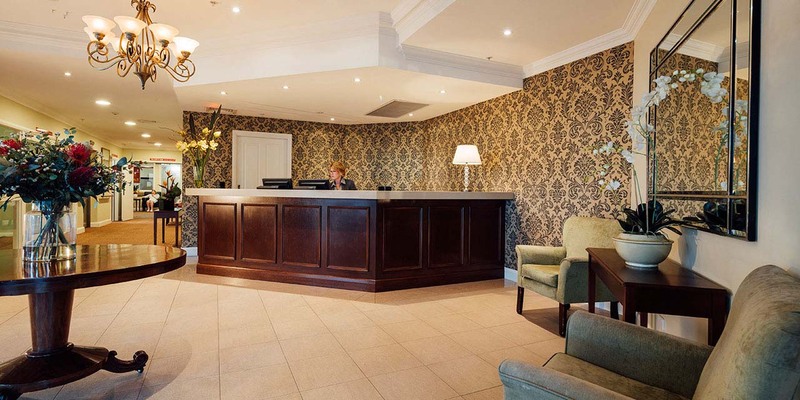 We have many areas that characterise the community feel of Hedley Sutton. These include communal courtyards and outdoor areas, which are easily accessible so that you can make the most of a beautiful day. 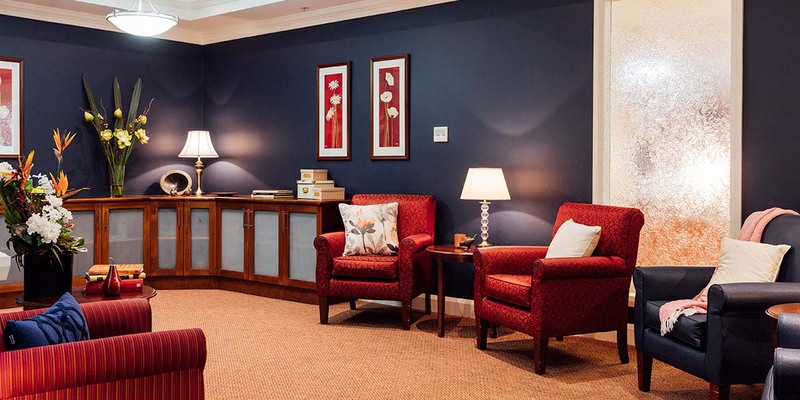 Our ground floor social area is popular – especially when we hold our regular activities for residents and their visitors – and there are comfortable sitting areas in our lounge. We also have a library on-site, if you’re looking for a quieter change of scenery. While pets cannot stay with residents, they are very welcome to visit with family or friends. 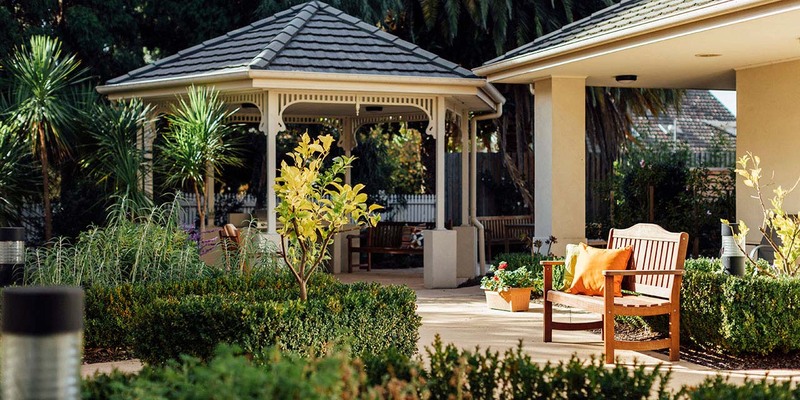 Hedley Sutton is accredited to provide all levels of residential aged care (low to high), as well as more flexible respite care, and end-of-life (palliative) care. This enables ‘ageing-in-place’, whereby residents can stay at Hedley Sutton even if their health changes or their needs increase. 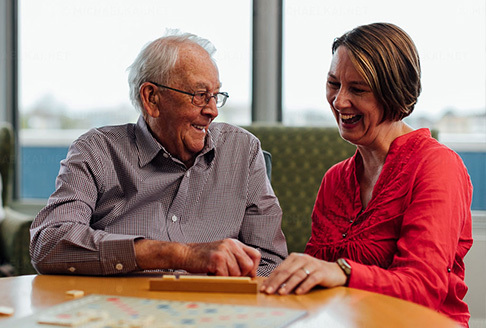 Upon arrival, the staff at Hedley Sutton make it their priority to fully understand each resident’s individual needs so they can tailor the care they provide accordingly. At Hedley Sutton, our qualified and experienced staff provide nursing-led care, with Registered Nurses on-site 24 hours a day, seven days a week. To ensure the highest quality of care for our residents, we maintain an impressive ratio of one carer for six residents – and after hours, there are two Registered Nurses and 10 personal care attendant staff on-site. Many of our nurses and personal carers are multi-lingual, with current staff members fluent in Spanish, Hindi, Punjabi, Nepali, Chinese, Filipino and Korean. Team members are assigned to a specific group of residents to enable continuity of care and ensure staff represent a constant, familiar presence in our residents’ lives. For acute clinical care issues, we provide an in-reach program, meaning that residents are seen on-site, rather than at the hospital. At Hedley Sutton, we focus on high-quality, wholesome food, as we believe this is important in providing a high standard of care to our residents. With input from dieticians, we ensure that all menu selections are not only tasty and well-presented, but also nutritious. Our newly appointed catering team creates every one of our delicious and healthy meals on-site, including morning and afternoon tea. We are happy to cater to any dietary requirements our residents may have. We offer residents a broad range of social and therapeutic activities, giving them the opportunity to get involved with our friendly community here at Hedley Sutton. Our residents can take part in the many on-site music, art or entertainment activities, or join one of our regular bus outings. We also have a hairdressing salon, kiosk, chapel and library with internet connection on our premises. And if you enjoy dining out, our on-site café hosts three-course dinner events twice a week. Because Hedley Sutton is located only minutes from Camberwell’s shopping precinct, our residents remain part of their local community. We offer weekly bus outings to local parks and scenic areas. Our community connection also extends to the younger generation, with local school students regularly volunteering and performing at Hedley Sutton. 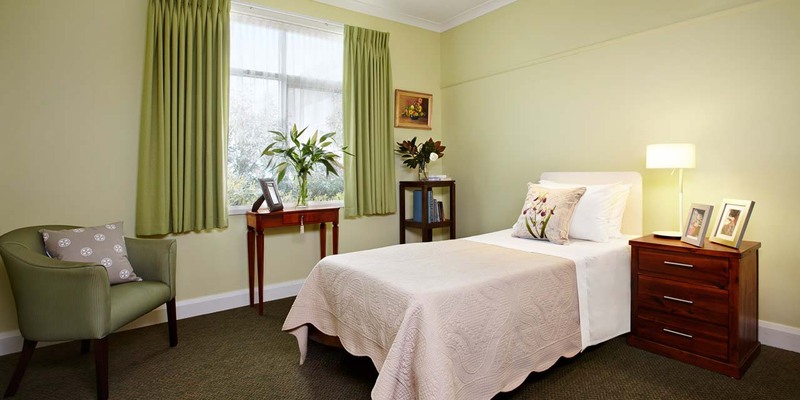 As part of providing a warm and homely environment for residents, we welcome family and friends to visit at any time of day. 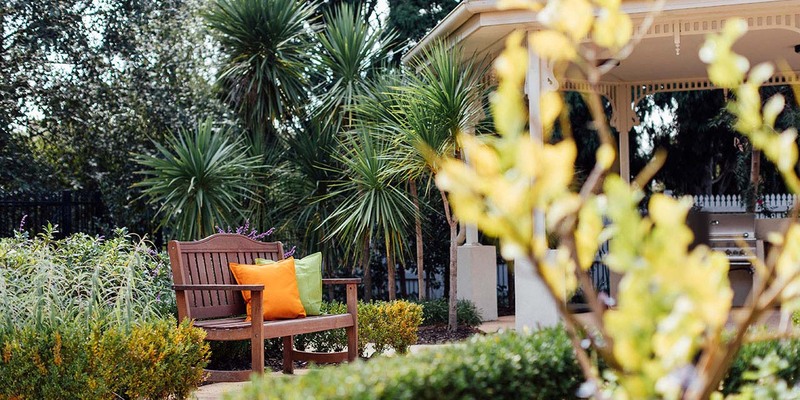 Visitors are invited to take part in activities and mealtimes, and to use our beautiful gardens and shared spaces to enjoy time with their loved one. Our staff are also happy to serve tea and coffee to visitors on request. For more snapshots of daily life at Hedley Sutton, follow Baptcare’s Facebook page. Pastoral care is an important part of life at all Baptcare communities, including Hedley Sutton, where we provide residents with regular opportunities for formal worship and reminiscence. This includes a twice-weekly church service in our on-site chapel, as well as weekly group devotions. We host a Catholic, Anglican, Baptist and general faith service once a month. The wellbeing of our residents is of utmost importance to us. To support this, we host a broad range of social and recreational activities, as well as diversional therapies. Currently, our activities calendar includes art, craft, walking and exercise groups, as well as opportunities for guided relaxation, e.g. hand massage, sunshine therapy. Our Zumba sessions are especially popular. And we promote an ‘active mind’ through competitive play and considered conversation, e.g. ‘target words’, Scrabble, bingo, current affairs discussions, etc. Our model of care at Hedley Sutton prioritises consistent daily routines that reassure residents and inspire confidence. However, we do encourage residents to try new activities and become actively involved in community life so they can maintain their interests and enjoy a full life. We invite you to see for yourself what life is like at Baptcare Hedley Sutton. 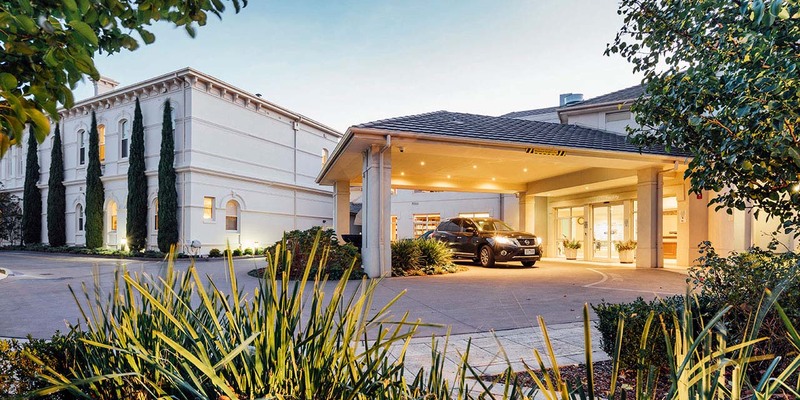 Simply book a tour online by clicking here or call 13 BAPTCARE (13 22 78) to arrange a time to visit our community.